A fine album with definite crossover appeal. 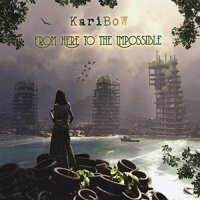 I found Karibow when I read a review of their previous album ('Holophinium') which stated that Saga were a comparison. Whilst I get that Saga-like tropes appear occasionally, I'd closer align them with fellow Germans RPWL albeit with a more dynamic singer, better hooks and better choruses. 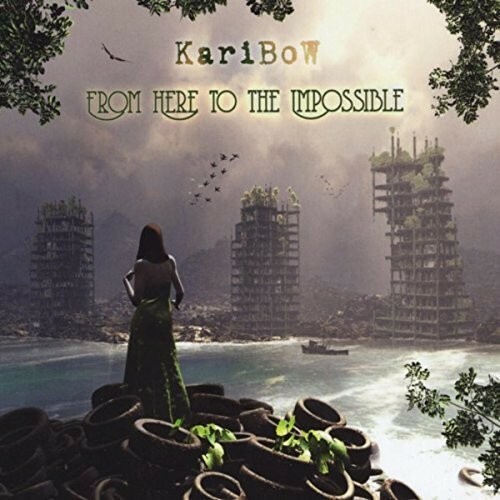 Karibow comprises of main man Oliver Rüsing (vocals, guitars, drums) alongside Jörg Eschrig (guitars), Markus Bergen (keys), Gerald Nahrgang (percussion) and Thomas Wischt (bass), plus guest contributions from Jim Gilmour (Saga), Sean Timms (Southern Empire) – both keyboards – with Daniel Lopresto (Southern Empire), Monique van der Kolk (Harvest) and Mark Trueack (Unitopia) each providing vocals. Marek Arnold (Toxic Smile, Damanek amongst others) also adds sax, keys and flute. The band successfully produce Prog music that has accessibility to a wider audience thanks to really strong themes and choruses that tick all the boxes in the toe-tapping and earworm departments; each of the eleven tracks on offer has the quality of memorability. I have to mention the drumming, which is excellent throughout, and in a similar manner to the ubiquitous Mike Portnoy, it doesn't just hold the beat but gets to be both flamboyant and interesting. The various guitar and keyboard solos are always relevant and don't stray into overkill territory. 'Here' and 'My Time Of Your Life' are Prog/Melodic crossover songs, the latter having an utterly addictive chorus, while 'Passion' begins as if it's going to have Metal sensibilities but settles down and has a chorus that puts me in mind of Harem Scarem. 'Never Last' is a piano-based number that drips with passion and the sax solo from Arnold is just right. 'Lost Peace' sees the introduction of van der Kolk's delicious vocals, which offset the Rüsing's gritty delivery, and the instrumental breakdown provides an interesting diversion. The track segues into 'A Crescent Man' which curiously is pretty much the same song until the latter stages. 'Requiem' is a delightful instrumental, while 'Inside You' is terrific and so catchy – the mix of male/female vocals is wonderful. 'System Of A Dream' features another fabulous chorus with Lopresto delivering a fine vocal performance. 'Black Air' contains some splendid sax work from Arnold and is a track that builds inexorably from a delicate beginning to a thunderous conclusion. 'The Impossible' is the epic closer which includes three different narrators and is chock full of great refrains and little hooks. This is a fine album with definite crossover appeal.